This week, The Chronicle of Higher Education published a lengthy confession of a man who works for a custom essay writing service. It is a growing industry, as plagiarism detectors, like turnitin.com, are increasingly being used to catch cheating in both high schools and universities. 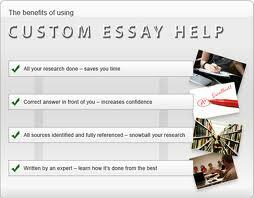 Even though the price for a customized essay is high, about $20 per page, students are willing to pay for work that “earns” them a good grade. Since the work is original, it passes the plagiarism detectors and professors often cannot take action against the cheater without proof of wrongdoing. Students who come to American universities from other countries find that their efforts to learn a new language are confounded not only by cultural difficulties but also by the pressures of grading. The focus on evaluation rather than education means that those who haven’t mastered English must do so quickly or suffer the consequences. My service provides a particularly quick way to “master” English. And those who are hopelessly deficient—a euphemism, I admit—struggle with communication in general. Another reason Dante cites for choosing a non-traditional career in writing is the money. He claims to make about $66,000 a year, typically much more than your average humanities professor. It may not be right, it may not be fair, but it’s out there. What can a professor do to combat this type of cheating?